The clock tower called Big Ben, or known sometimes as Elizabeth’s Tower, was built in 1858 and has become a veritable symbol of London and the United Kingdom. As such, the tower and its clock-face have been imperiled many times throughout cult-television history. Poor Big Ben has been battered, destroyed, and even shrouded by alien spacecraft from time-to-time. A British science fiction series, Doctor Who (1963 -1989; 2005 – present) has “clocked” in the most appearances of Big Ben, naturally. 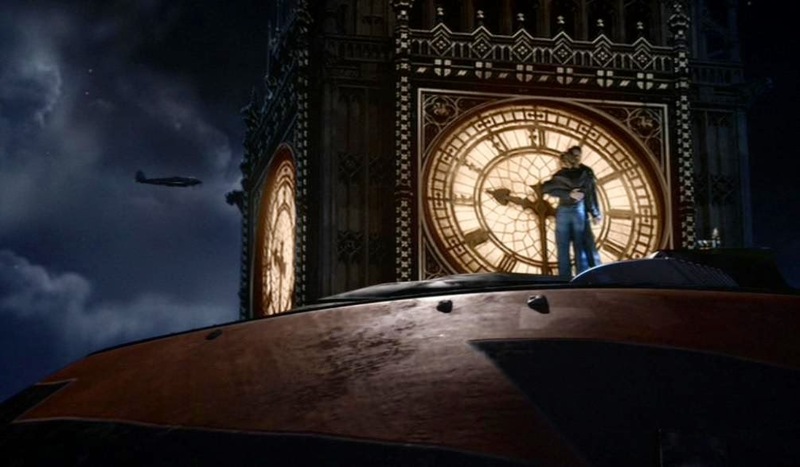 The clock tower has appeared in several episodes of series including “Aliens in London,” when a Slitheen ship strikes it on descent, in “The Empty Child” and even the recent Peter Capaldi premiere, “Deep Breath” to name just three cameos. 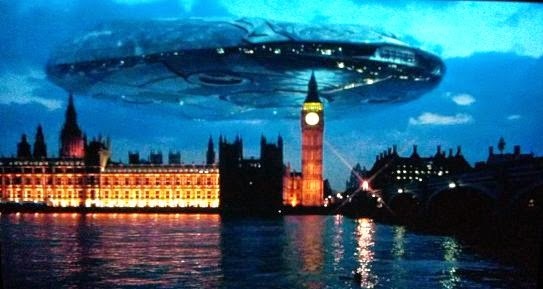 Both iterations of V -- in 1983 and 2009 -- have also featured imagery of giant alien saucers or spaceships hovering nearby or over Big Ben, thereby casting a shadow on humanity itself. 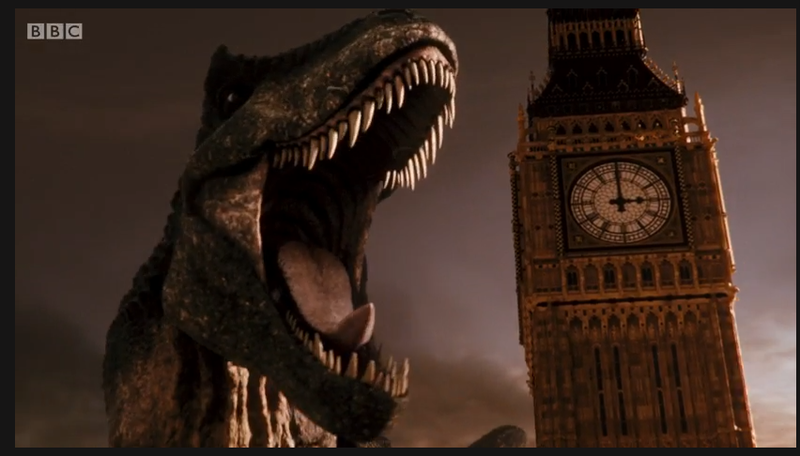 And the clock tower made an appearance in the movie Gorgo (1961) an “experiment” endured by Mike and the Bots on Mystery Science Theater 3000 (1989 – 1999). Big Ben also cameos in the opening sequence of Patrick McGoohan’s The Prisoner (1968).